Beauty And The Beast Movie Review: The blink-and-you'll-miss-it meet-cute moment for two gay characters is part of this Beauty and the Beast larger sense of expansiveness, wherein exteriors fall away, inner essences come to the fore and true love ensues. And what in this big, boffo, ball-gowned world could be wrong with that? 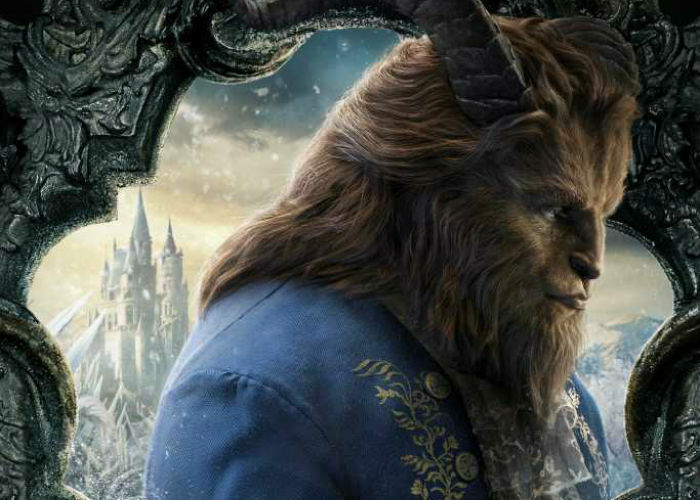 How Does a Moment Last Forever is one of several new songs composed for Disney's live-action adaptation of its animated classic, Beauty and the Beast. It's also a subtle nod to the baggage that this production brings with it. How indeed to take a cartoon loved to the point of obsession, flesh it out with actors who can't be expected to live up to the two-dimensional protagonists of fans' imaginations, and open it up to lived-in realism, without losing the pure fantasy of the original? How does a movie last forever, even as it's deconstructed and reinvented over time? The answer is: with a mixture of careful deliberation and boldness, both of which are on full display in this pleasingly all-out but reassuringly familiar take on a story that might not have started with Disney's 1991 movie but, for many, seemed to end there. Emma Watson delivers an alert, solemn turn as Belle, the French country girl with a penchant for reading and inventing. Although Dan Stevens - best known for his recurring role on Downton Abbey - is heard more than seen, he lends the Beast just the right ratio of soul to raffish misanthropy. 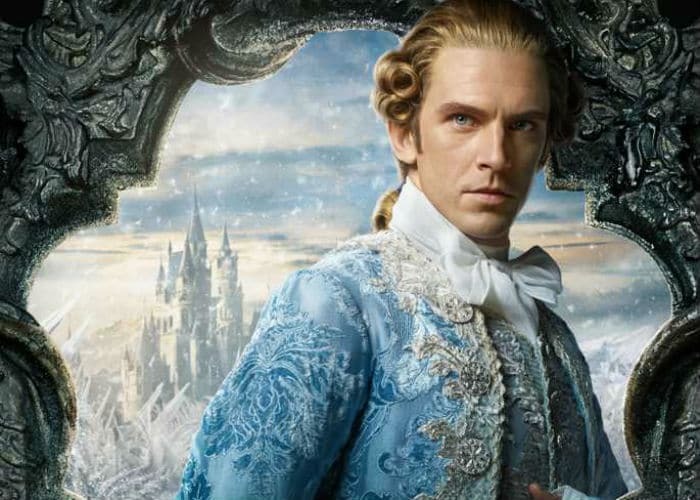 In fact, it's Stevens who gets the first scene of Beauty and the Beast, when as a vain prince he's being garishly made up before he appears at an opulently appointed ball. The ensuing fete is a lilting swirl of cream-colored gowns and a soaring aria delivered by Audra McDonald (accompanied on the harpsichord by Stanley Tucci). But the prince is not a nice guy, and when a wizened visitor begs to be allowed in by offering him a perfect rose, he cruelly casts her aside. She in turn casts a spell that turns him into the lurking, leonine title character who can turn human again only once he learns how to love and be loved. The fact that it's the damsel doing the saving in Beauty and the Beast - not once but twice, if you count Belle's kindly father, Maurice (a sweetly affecting Kevin Kline), who runs into trouble midway through the film - gives extra verve to the presence of Watson. The actress has become a feminist icon, thanks to her days as Hermione in the Harry Potter movies as much as her off-screen political activism. Like another Emma in last year's La La Land, Watson may not possess a killer set of pipes, but her singing (which sounds like it's been technologically sweetened here) is serviceable enough to get the job done. 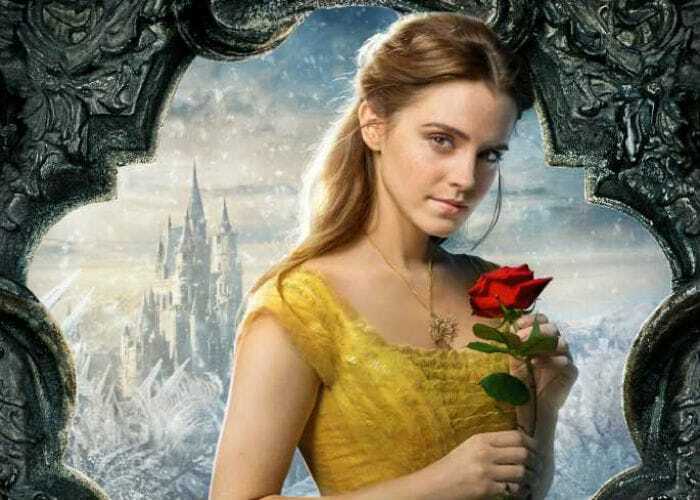 It's her solid, capable persona that take pride of place in Beauty and the Beast, which is as much about its lush French provincial costumes and settings as it is about story and character. Belle's opening number, during which she sings of longing and intellectual restlessness while swaying through her village's market, is an eye-catching melange of flowers, fabrics, textures and riotously bright springtime colors. 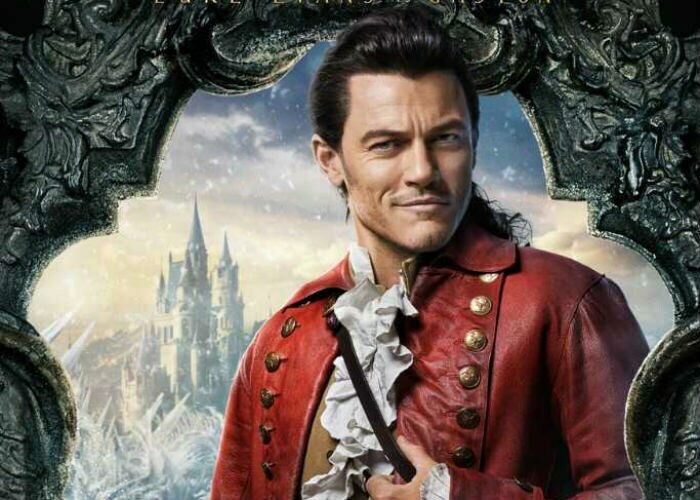 In addition to setting the stage for confections to come, that opening sequence also introduces one of Beauty and the Beast's most beloved and be-loathed characters: Gaston, Belle's would-be suitor, played with fatuous relish by a wonderfully game Luke Evans. His big number - delivered while dancing and fighting on tabletops with his adoring aide-de-camp LeFou (Josh Gad) - is a giddy, amusing high point, and welcome respite from the gloom of the Beast's Gothic-slash-rococo castle. The film's biggest sequence, set to the song Be My Guest, revisits the Busby Berkeley design elements of the 1991 version, here elaborated with even more anachronistically psychedelic neon and a punched-up, disco-worthy color palette. Bill Condon (Dreamgirls) never met a camera he didn't want to swoop, swirl and otherwise move around his characters in delirious circles. The effect can be visually exhausting - especially in Imax - and when he throws out wads of confetti or springing pieces of ribbon at the audience for the second or third time, it begins to feel as if he's covering up for his lack of instinct for staging. Alan Menken, who composed the original songs, has enlisted lyricist Tim Rice for a batch of new tunes, none of which is particularly memorable, but none of which is objectionable, either (the orchestrations, meanwhile, are reliably swelling and lush). The animated housekeeping items - Mrs. Potts the teapot, Lumiere the candelabra and Cogsworth the clock - are all brought to convincing life by way of digital magic and terrific voice work by Emma Thompson, Ewan McGregor and Ian McKellen, respectively. McDonald's and Tucci's characters - a wardrobe and harpsichord - have less to do but are on hand for the film's grand finale, made all the more gratifying by the emotions that have been plumbed before. 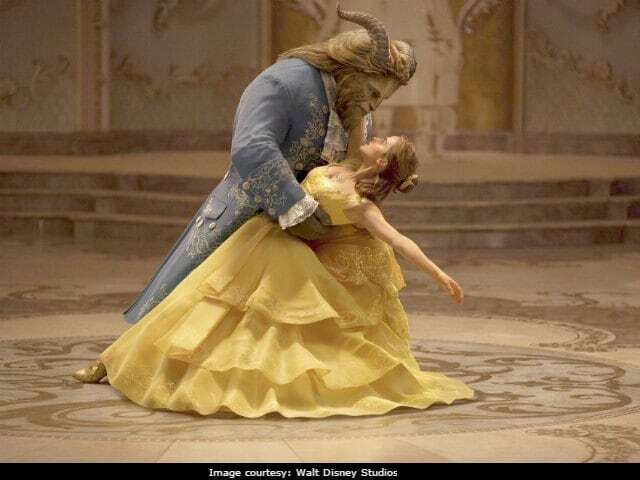 By beefing up the presence of Belle's father - and the absence of her mother - the filmmakers have given Belle as much shadow material as the diffident Beast, who starts out as her captor and winds up her soul mate. This Beauty and the Beast isn't predicated on starry-eyed romance or animal attraction, but the solace of mutual loss and understanding, which makes it all the sweeter. Although the Beast is an entirely digital creation, based in part on Jean Cocteau's groundbreaking 1946 silent film, Stevens imbues his hauteur and fanged hostility with pathos and arch humor. Joining Heathcliff and Mr. Rochester as yet another handsome dude in a bad mood, Stevens' Beast provides the right kind of foil for Watson's spirited, courageous heroine, who in one of two seriously frightening sequences fights off a snarling pack of wolves. The blink-and-you'll-miss-it meet-cute moment for two gay characters is part of this Beauty and the Beast larger sense of expansiveness, wherein exteriors fall away, inner essences come to the fore and true love ensues. And what in this big, boffo, ball-gowned world could be wrong with that? Three stars. Rated PG. Contains action violence, peril and frightening images. 126 minutes.